Are you interested in learning how to port your phone number? If so, this article will shed some light on the process to ensure you understand how to port your phone number, and how simple it is to get done. Porting your phone number means taking your current number from your initial provider and transferring it to another provider. Porting is a semi-permanent way to move a phone number from one provider to another when you wish to close your old account and open a new one. Some people feel a little apprehensive about porting a phone number, but there is no need for concern. It is very important that you are able to keep your current number in certain circumstances, especially if it is a business number. This is one of the main reasons many people want to learn how to port your phone number. Many people are concerned that they will not be able to port their phone number. But usually, you can keep your phone number, regardless of which service you choose to switch to. And you can do so whether the number you are porting is a wireless number, a landline number, or a VoIP number. 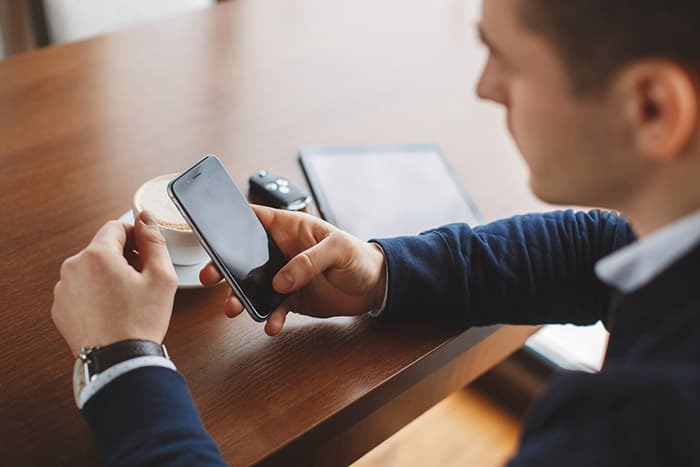 There are several reasons why you may want to change to a new provider, and essentially, learn how to port your phone number. What’s the Difference Between Porting and Call Forwarding? Porting your number is not the same as call forwarding. Call forwarding involves the number staying with the original account provider and having calls being transferred to a different recipient. If you want to know how to port your phone number, you should bear in mind that it should be a long-term solution. You don’t want to have to keep changing your provider frequently. The best way to find out if the new provider is the right one would be to try it out first. Providers such as Global Call Forwarding offer a fully-functional free trial, so you can really see if they have all the features you need for your business. When you are getting ready to port your phone number, you will need two pieces of very important information: your account number and the passcode or PIN that is associated with your account. Most often it is easy to find your account number from your bill, but for some providers, you will have to make a call to customer service. Make sure you have these details right, otherwise your port request will be rejected. What Happens When You Port your Phone Number? Once you have ported your number to your new service provider, they will be providing all the services for your phone number. Your new carrier will send you confirmation that your number has been ported. If you wish to retain your former service provider as well, you will have to request that they issue you a new number on your existing account with them. This may be a good option if you wish to keep using their cellular and data coverage. If you do not wish to maintain service with your previous carrier, you should instruct them to close the account. When you choose to port your number to Global Call Forwarding, there is no limit to the amount of numbers you can port. It’s a really simple process; all you have to do is complete the online form, and a customer service representative will be in touch with you within 24 hours. The moment your phone number has been ported to Global Call Forwarding, you can go ahead and cancel the account with your previous carrier. The expert team at Global Call Forwarding works hard to get your number ported as quickly and efficiently as possible. What Kinds of Number Can You Port to Global Call Forwarding? Global Call Forwarding accepts a wide range of national, international, mobile, and toll free numbers. So, feel free to port your number, regardless of your location. You can even port toll free numbers to Global Call forwarding. There’s no need to stress about how to port your phone number. Typically, the transfer goes off without a hitch, and you will soon be enjoying the benefits that your new provider can offer. Complications can occur, but usually, the only reason your port will be rejected is if you give the wrong information about your previous account or your PIN. So, it’s important to make sure that your details match the information on your phone bill. If you want to find out more about how to port your phone number, contact Global Call Forwarding today and talk to their customer service team. They will help you every step of the way to gather your information and help make porting your number simple and stress-free.